Teamed up with veggie side dishes, this sausage and peppers dinner menu is perfect for pasta night, Oktoberfest, Novemberfest—or any other family fest! 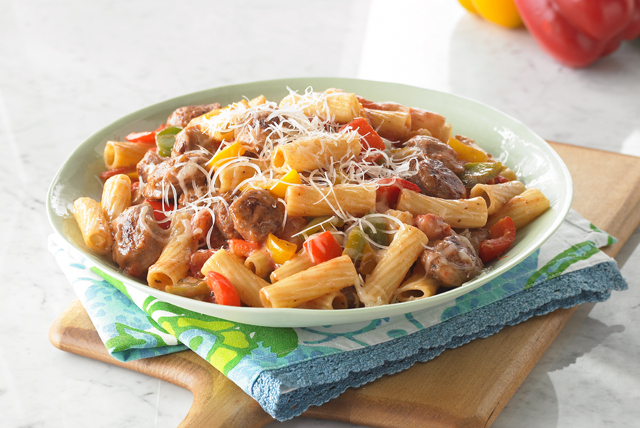 Italian sausage goes with pasta like—well, sausage and pasta! If you need any help picking the peppers, check out our guide to Seasonal Produce: Bell Peppers. You know what else goes well with sausage and peppers? Tomatoes. 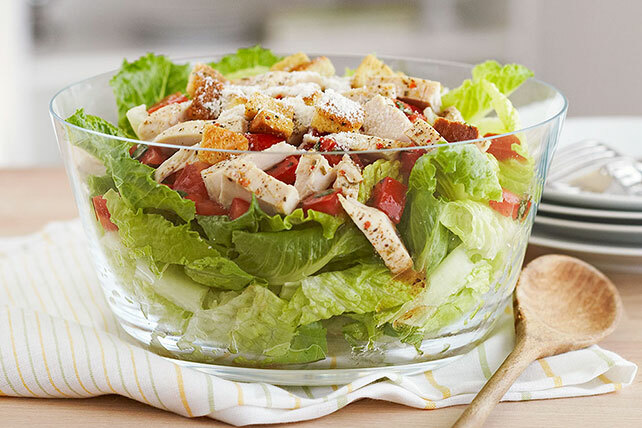 They'd be great in any layered salad, but this bruschetta-style version is one of our faves. It's hard to believe these subtly sweet Balsamic Glazed Carrots are a Healthy Living recipe—but it's doubtful anyone will notice, anyway! Check out our guide to Seasonal Produce: Carrots for tips on purchasing and preparing carrots.